There are few things I’d rather do on a crisp winter’s morning than ramble for an hour or two in the woods around Ballynahinch Castle, said Killian Fox in The Observer (U.K.). 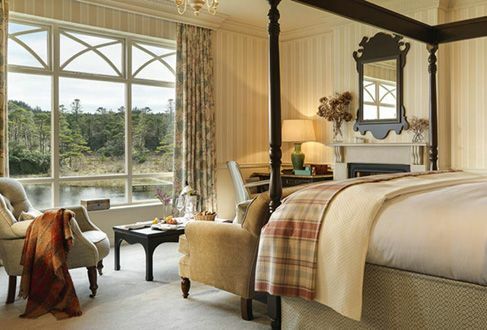 “One of the most romantic places to stay in Ireland,” the 18th-century mansion sits at the base of the Twelve Bens mountain range in County Galway. The 48-bedroom property has its own fish-filled lake, and a river that winds right past the dining room. After wandering the hotel’s 700-acre grounds, warm up with a hot whiskey at the hotel bar—once a favorite spot of Irish poet Seamus Heaney.